The Château de Rambouillet was built in the heart of a game-rich forest just fifty kilometres from Paris. From the outset, the château naturally attracted princes, kings and later emperors, all keen to partake in long hunts at this renowned estate. In 1896, the hunting tradition was continued during the presidency of Félix Faure when Rambouillet was transformed into a holiday retreat for the presidents of the French Republic. At that time, the president was merely a figurehead to represent the country and held limited powers. He could, therefore, take the time to enjoy the estate during weekends and long summer breaks, even though he would frequently be seen hosting distinguished guests there, often visiting from overseas, in the interests of forging close diplomatic ties. The president of the Republic’s role as ambassador became pivotal in the aftermath of the Second World War. France had to be rebuilt and its global might reasserted, especially given that the Cold War had just begun, placing Europe at the centre of a conflict between two world powers: the United States and the USSR. Rambouillet welcomed a long line of distinguished guests. The presidents offered them a prestigious place to stay, apartments decorated to reflect the latest fashions and, of course, a superb hunting estate. 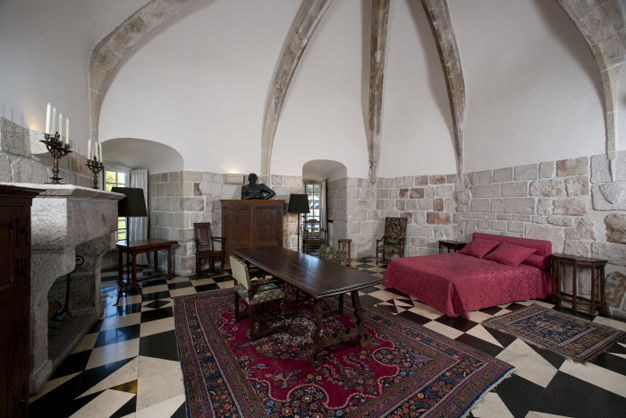 The new apartment for hosting foreign heads of state was built from 1948 in the former attic attached to the tower named after King Francis I. Their bedroom was, in fact, placed in the exact same spot where the first king of France was said to have died. A reminder of the prestigious history of both the château itself and indeed France. As dictated by the protocol of the time, a bedroom for the accompanying ‘first lady’ was also provided. The apartment also contained a small lounge and a study. Vincent Auriol, then president of the Republic, and his wife personally oversaw the refurbishments and the decoration which was entrusted to Jean Pascaud, who was also commissioned as the interior designer for the cruise liner Le Normandie. Bedrooms were also provided for members of the official guest’s entourage, which were set along the long corridors that led to the apartment. 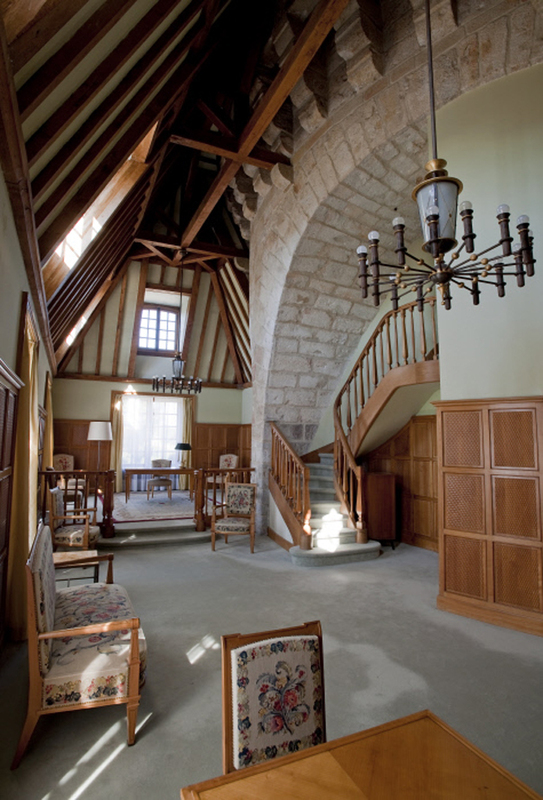 Staff quarters consisting of small bedrooms were arranged on the upper floors. By the late 1950s, at which time the president of the Republic was appointed the executive head of state, the Château de Rambouillet was an official venue for hosting foreign dignitaries. It became the site of many formal international meetings. The first G6 summit was held at the Château de Rambouillet in November 1975 at the behest of President Valéry Giscard d’Estaing. This event not only made its mark on the history of the estate, it was also a pivotal moment in world history. In September 2017, the Centre des monuments nationaux recreated the table at the official dinner held on 16 November 1975, laid out according to the practices and protocol observed at the time. This was made possible thanks to the direct collaboration with the Elysée Palace which has loaned the estate the Sèvres Pimprenelle china dinner service decorated by Henri Dujardin-Beaumetz, the then undersecretary of state for fine arts, the matching napkins, the Cristofle cutlery, the crystal glassware and the serving accessories used at the dinner held during the G6 summit. At the centre of the table sits the surtout de table, the ornamental centrepiece made of solid silver owned by president Emile Loubet and produced in 1900 by the Maison Cristofle and acquired by the CMN in 2010. It is bookended by two silver candelabras and decorated with artificial flowers supplied by the Elysée’s florists as close as possible to the original arrangements in 1975. The table place cards for each of the 18 guests (the six heads of state or government accompanied by ministers and secretaries of state) were made in the Elysée workshops.